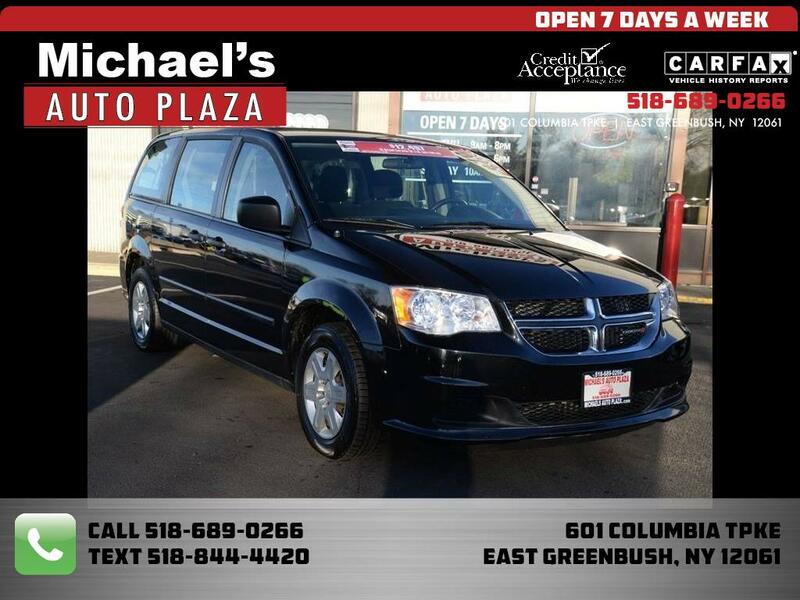 Come see this ONE OWNER 2013 Dodge Grand Caravan SE, Black with Black Interior, 91k miles, Third Row Seating, Traction Control, Keyless Entry, Power Windows, Locks & Mirrors. A/C, Cruise, Tilt, CD. This vehicle may be subject to a Safety Recall, visit www.nhtsa.gov/recalls or www.SaferCar.gov ALL Vehicles come NYS Inspected and Select Vehicles Include Warranty! Buy with Confidence! EZ Access Off Ext 9 of I90! Trades Welcome - All Reasonable Offers Considered!!! We ship our vehicles worldwide, please call us for a shipping quote. WE OFFER GUARANTEED CREDIT PROGRAMS!!!! Call Toll FREE 866-440-3907 or TEXT anytime 518-844-4420!! FREE Carfax available on any vehicle! Call for your copy today! FINANCING for ALL needs! Rates From 2.74% APR if credit qualified! Great rates for the credit challenged too! Message: Thought you might be interested in this 2013 Dodge Grand Caravan.